App for android and IOS. What you get is a number of topographical maps in the UK. 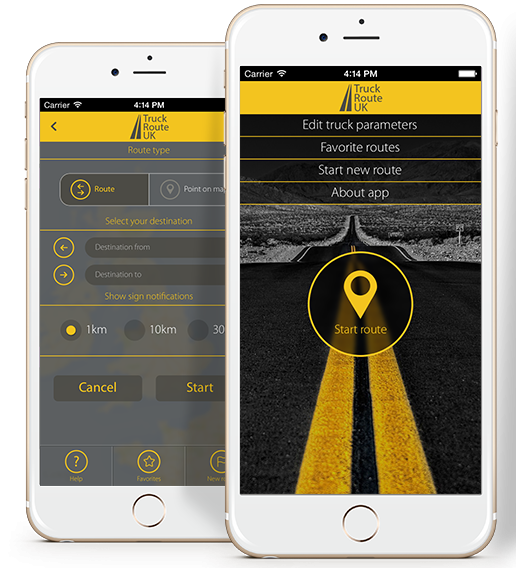 This app is easy to use and perfect for truck drivers. Programming on Android Studio and Objective - C.
APP for Android. A production tracking, review, and asset management toolset for small/medium and large companies. With this app you can revolutionize the way you manage your products in stores. Easy navigation, clear design, keeps your sales in control, easy to transmit and track information, need we say more? The transport management system APP for android. It is best suited for warehouse users to perfectly manage their transportation activities. This tool is user-friendly, saves all the information in the system and helps your employees stay organized and productive. APP for android. This Self-Service tool adds immense value to business by increasing customer satisfaction, reducing costs and improving employee productivity.